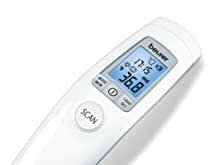 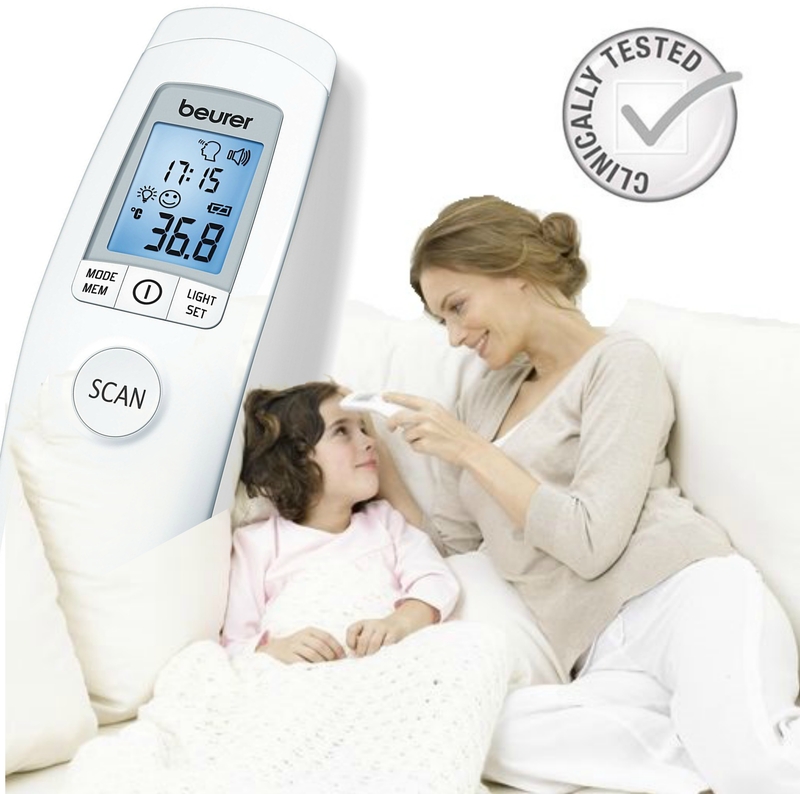 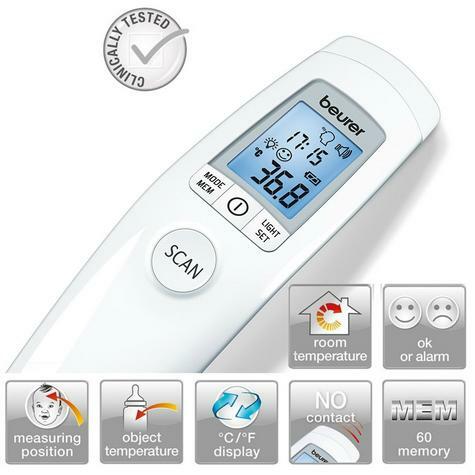 The Beurer FT90 infrared thermometer measures ambient and surface body temperature, with no skin contact necessary.Hygienic and reliable, the FT90 thermometer is particularly well suited for taking the temperature of infants and young children.This practical model has an audible signal at the end of the temperature measurement as well as an alarm when the child has a fever.With a memory of upwards of 60 units of data, the Beurer FT90 also includes a large readable screen. 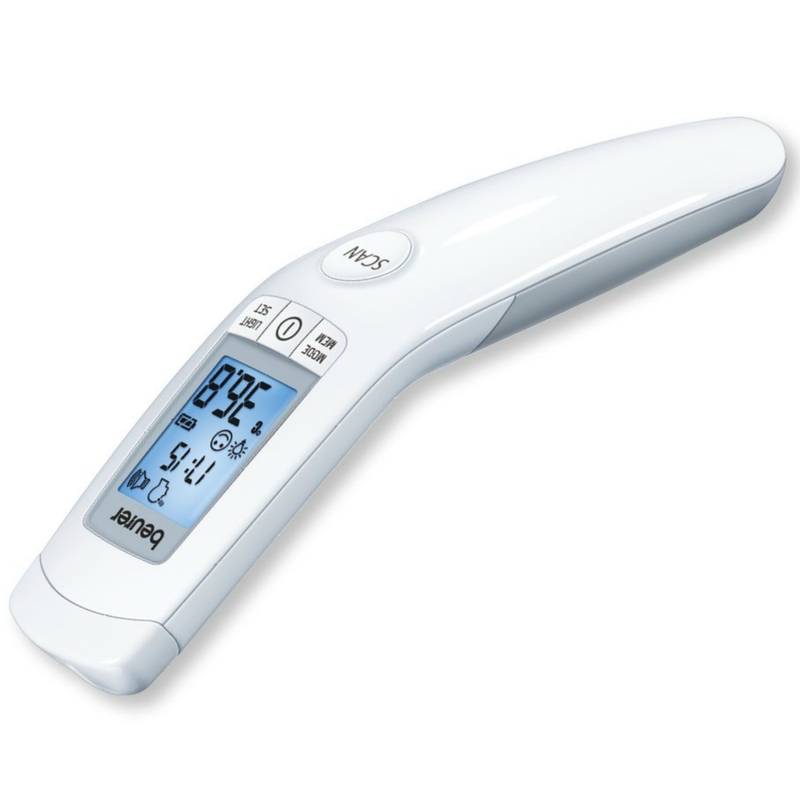 You can also use the FT 90 thermometer from Beurer to measure the temperature of objects. To do so, hold the device 1 to 2 cm from the desired measuring point and press the start button. 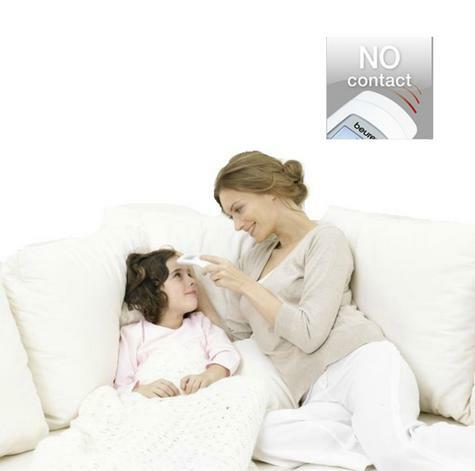 The device is a non-contact thermometer with an infrared detector for measuring the body temperature using the forehead. The thermometer stores the temperature automatically. 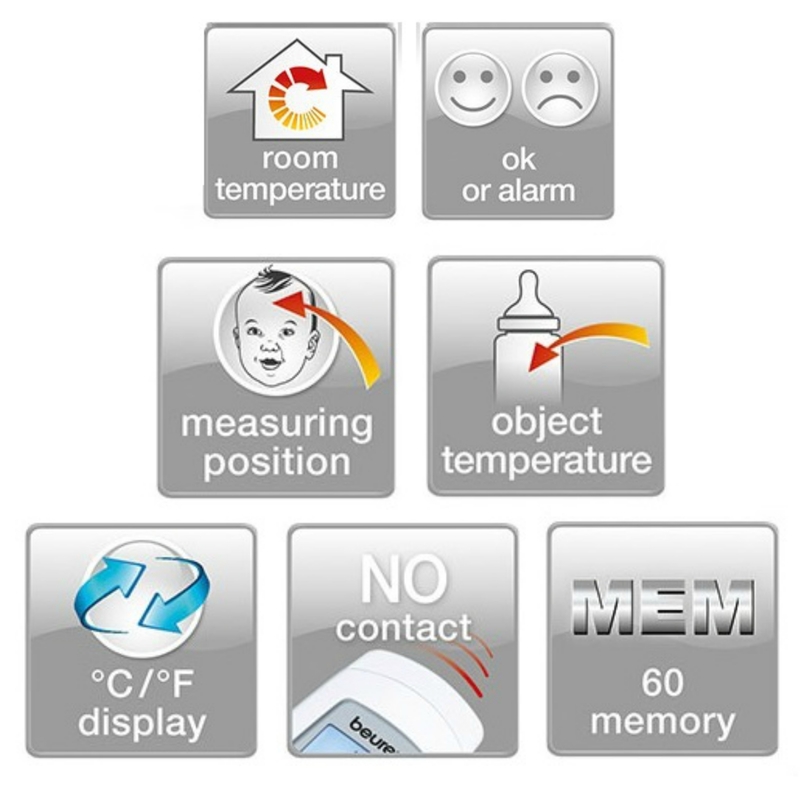 The values of the last 60 body temperature measurements and object temperature measurements are stored. 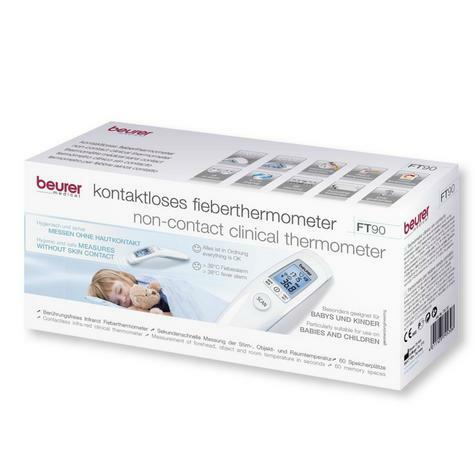 This enables you to monitor the development of the temperature over a series of measurements. 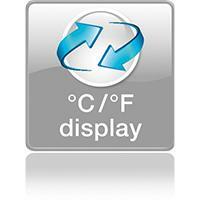 You can set the temperature to be displayed in °C or °F as required. 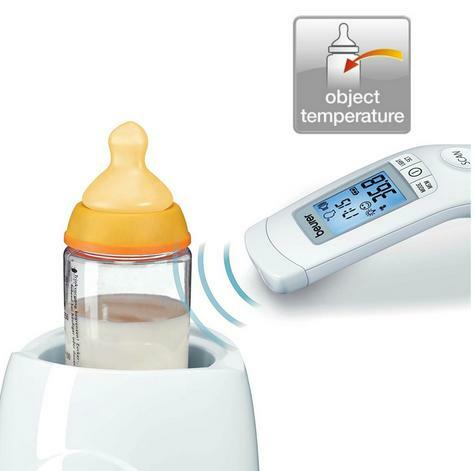 Suitable for taking the temperature of babies and small children.